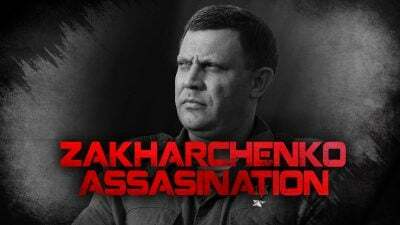 On August 31, Head of the Donetsk People’s Republic (DPR) Alexander Zakharchenko died from wounds received in a bomb attack in the DPR capital of Donetsk in eastern Ukraine. The explosion, which took place in a restaurant, “Separatist”, also injured at least 3 persons, including the DPR Finance Minister. The Russian Foreign Ministry described the incident as a terrorist attack designed “to derail the process of peaceful political settlement in Donbass and the implementation of the Minsk Agreements”. The ministry called on the Kiev government “to stop relying on terrorism to resolve Ukraine’s domestic issues”. The DPR authorities accused the Kiev government of being behind the attack. The Security Service of Ukraine (SBU) confirmed that it is aware of the incident but claimed that the death of Zakharchenko was a result of some internal tensions within the DPR. Deputy Prime Minister Dmitry Trapeznikov became Interim Head of the DPR. Meanwhile, DPR military spokesman Eduard Basurin said that the Ukrainian military is re-grouping its forces along the contact line with the DPR. “We think this is the eventual goal in terms of destabilizing the situation in the areas near the Line of Contact – something the Ukrainian and US secret services have hoped to gain,” he said. “We don’t rule out an offensive at one of the sections of the line.” Separately, he pointed out “the deployment of a Ukrainian security forces’ combat group in the direction of Mariupol under the guise of Storm-2018 drills”. According to Basuring citing intelligence data, the UAF may carry out a new attack on the DPR on September 14. Over the past few years, the DPR and its neighbor, the Lugansk People’s Republic (LPR), have been hit by a series of terrorist attacks and assassinations. According to DPR and LPR sources, all of them has been reportedly carried out by Ukrainian intelligence and its agents. However, some sources say that at least a part of these incidents has been a result of the internal tensions within the DPR and the LPR. Local sources describe the work of the republic’s security forces as only “sub-optimal” to what is needed. It is also important to note that Zakharchenko was one of the persons signing the Minsk II agreements in 2015, which declared a ceasefire between Ukraine and the DPR-LPR forces. Now, when Zakharchenko is dead, Kiev may use this as a justification to ignore further its responsibilities in the framework of the agreements. The chances for any kind of successful peaceful settlement of the conflict in eastern Ukraine continue to decrease.